The essence of a Trust is to separate administration and control of assets from the enjoyment of the trust assets. Therefore, a Trust must have an objective and at least one beneficiary. 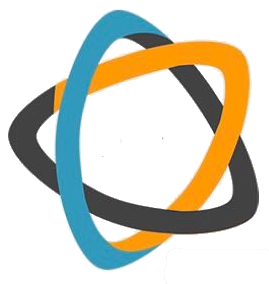 The trust deed is a contract between the founder and the first trustees in which specific powers are granted to trustees. Trustees must act in terms of the trust deed, but also maintain their fiduciary relationship with the other parties to the trust. A fiduciary relationship is defined by Merriam Webster dictionary as “a relationship in which one party places special trust, confidence and reliance in and is influenced by another who has a fiduciary duty to act for the benefit of the party”. It is clear that the duty of a Trustee overreaches that of a contractual duty towards the other parties. 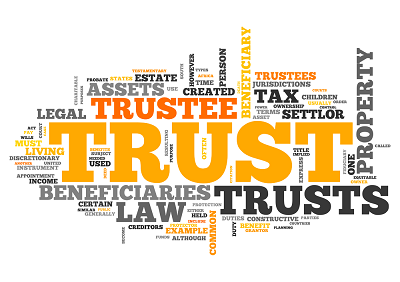 From a practical point of view, the trustees are responsible for the administration of the trust and must exercise control over trust assets, on the other hand beneficiaries may enjoy a variety of rights. These rights may include, but not be limited to, receiving income distributions and enjoying trust assets. Property administration will include, but not be limited to, having regular general meetings, reducing all decisions to writing, having annual financial statements drawn up, and managing trust funds properly. In the matter of Gross v Pentz and Others 1996 (2) SA 518 the Judge was of the opinion that all beneficiaries have a vested right in the proper administration of the trust, even in a discretionary trust. The Court held that trustees were bound to demonstrate to beneficiaries that they have received the correct product of the initial capital. Trustees must remember the trust is set up for the benefit of the beneficiaries and not for the trustees' benefit. It will however, in some instances, be the same person, but one needs to make that distinction. Trustees owe the utmost good faith towards all beneficiaries, as is clear from the Doyle v Board of Executors1999 (2) SA 805 (C) case. It is important to note that beneficiaries' rights are still restricted, in most instances, because they have not yet accepted a benefit. In this matter, the question arose if a beneficiary of a discretionary trust has a right to certain information. At the time this matter was heard, the beneficiary had not accepted a benefit from this trust, and therefore the Court held the beneficiary had no right to information in this discretionary trust. Since a beneficiary of a discretionary trust does not have a vested right, but only a hope to receive a benefit, the beneficiary will only benefit to the extent that the discretion has been exercised by the trustee in favour of this specific beneficiary. The discretion that trustees have in this regard is twofold. Firstly, the discretion to allocate a certain amount of income to a certain beneficiary, and secondly, the discretion to pay it over to the beneficiary. The beneficiary can therefore not claim payment of such an amount, since the payment is subject to a condition, that the trustees must exercise a further discretion. The majority of distributions made to beneficiaries are for tax avoidance purposes. The question that now arises is whether the trustees have an obligation to disclose/mitigate the tax effect in the beneficiary's hands. Since trustees must at all times act in the best interest of the beneficiaries, care must be taken not to merely make distributions to alleviate the tax burden in the trust, but also to ensure the beneficiary is not prejudiced by this distribution. In my opinion, the trustees must consult with the beneficiary to discuss his/her current financial position. In case of a minor beneficiary, this discussion should take place with the legal guardian of the child. The trustees must ensure the beneficiary/legal guardian is aware of this distribution, the nature of the distribution as well as the tax implication attached to this distribution and reduce this to writing. The moral of today's story is to direct or even redirect your intentions of having a trust, towards the best interest of the beneficiaries. Let's not lose sight of this crucial part of fulfilling our fiduciary duties. Contact services@wealthmastersclub.com to be put in touch with Treasury Trust Services.